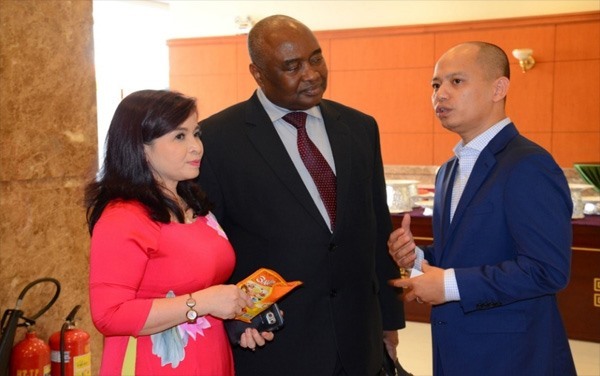 In the alarming situation of iodine insufficiency in Vietnam, UNIBEN Company actively collaborated with experts from the Nutrition Centre of HCM City to research and develop a new food product, iodised bouillon, which is nowadays highly recognised by nutritional practitioners. In order to facilitate healthy eating habits among the population, UNIBEN also distributed a significant amount of the iodised bouillon to millions of Vietnamese families. 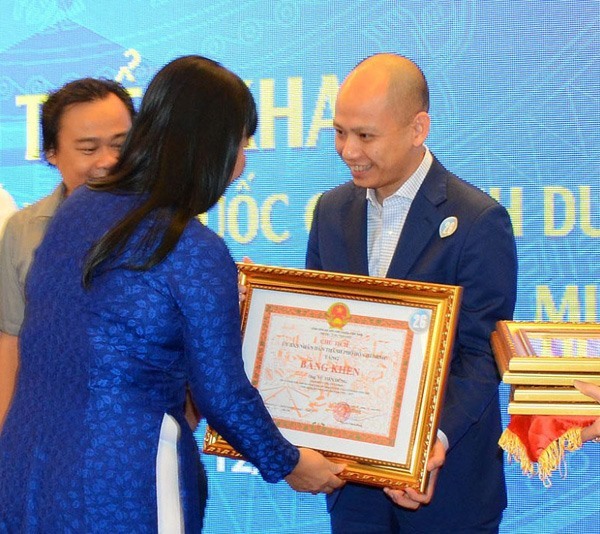 According to physician nutrition specialist (PNS), Do Thi Ngoc Diep, Director of the Nutrition Centre of HCM City, iodine plays a key role in the proper functioning of the thyroid gland and the lack of it causes several deceases related to physical and mental retardation, commonly known as Iodine Deficiency Disorders (IDD). Recommended Dietary Allowances (RDAs), the World Health Organisation (WHO), United Nations Children’s Fund (UNICEF), and the International Council for the Control of Iodine Deficiency Disorders (ICCIDD) also point out that iodine is essential for all ages, especially for pregnant women and children. The recommended daily iodine intake is 110–120 mcg/day for children, 150 mcg/day for most adults, and 220–250 mcg/day for pregnant women. Despite the high importance of iodine, it cannot be produced by the body and has to be part of our daily food consumption. Meanwhile, some national programmes such as the Government Decree No.09/2016/ND-CP to boost iodine for health emphasised that salty spices, as well as some other food products, must be enriched with iodine. Nevertheless, many food manufacturers disagree with the Decree due to a number of potential problems such as, incremental costs and disorder of stable production processes, as well as the change of regular taste, colour, and expiration date of food after adding highly oxidisable iodine. In this situation, UNIBEN is the pioneer Vietnamese enterprise, which made a considerable investment into R&D for creating iodised food products. One of the reasons for iodine deficiency is that Vietnamese people tend to use a lot of salted spices other than table salt to prepare foods such as seasoning granules, which are not iodised. Accordingly, UNIBEN together with nutrition scientists from the HCM City Nutrition Centre has come up with a simple but revolutionary idea: adding iodine to daily seasonings through bouillon. Months of analysing physical and chemical elements, carrying out several tests on iodine supplementation in UNIBEN factory seems to be working with the development of a formula and a manufacturing process for the new UNIBEN product line called “3 Miền Iodised Bouillon”. A cross-sectional experiment identified that median iodine intake from “3 Miền Iodised Bouillon” is increasing from 264 ± 126 mcg/day, much higher than the non-iodine supplementation, which is 95.6 ± 50.1 mcg/day. In addition, “3 Miền Iodised Bouillon” will impart an aromatic "gamey" and savoury flavour to both full and meatless dishes. The “3 Miền Iodised Bouillon” is recommended by doctors and nutritionists as a simple and economical solution to ensure that Vietnamese families have sufficient intake of iodine. UNIBEN spent a significant amount of resources to promote healthy eating habits and greater awareness on the new way of iodine fortification among the population. 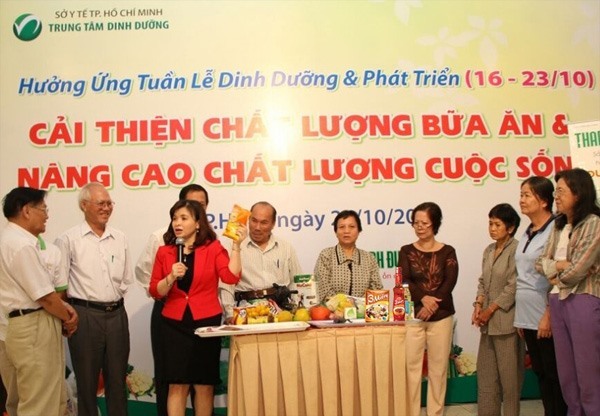 The organisation supported the Nutrition Centre of HCMC to distribute millions of handbooks that educate people on the importance of iodine intake and how to do it efficiently. Most importantly, UNIBEN has given away a thousand tonnes of iodised bouillons to millions of Vietnamese families through the UNIBEN nationwide distribution system and its consumer base. In particular, since March 2016, the organisation has distributed more than 9 million 200g/400g packs of “3 Miền Iodised Bouillon” at a total cost of more than VNĐ 120 billion (around US$5.4 million). These free packs were included in “3 Mien” instant noodle boxes. The outcome of this action was tremendous. After one year, an estimated 6 to 9 million households became familiar with “iodised bouillon” and regularly used it in cooking. This protects more than 30 million Vietnamese against the risk of mental retardation caused by iodine deficiency.